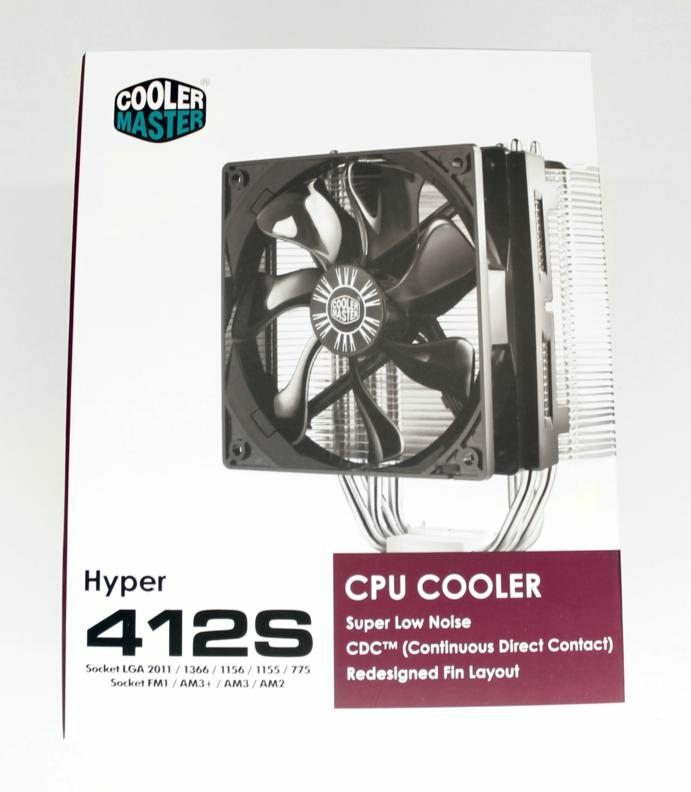 To conclude these last few Cooler Master reviews, I’m going to look at the Hyper 412S. It’s the only tower style cooler that I’ve had from them this time. The cooler has quite a low FPI (Fins Per Inch) which should make for a cooler that performs well at low fan speeds. Hopefully it makes for another quiet cooler from Cooler Master! Great box design from Cooler master. It clearly displays the information you need to decide if this cooler is correct for you along with really looking good. 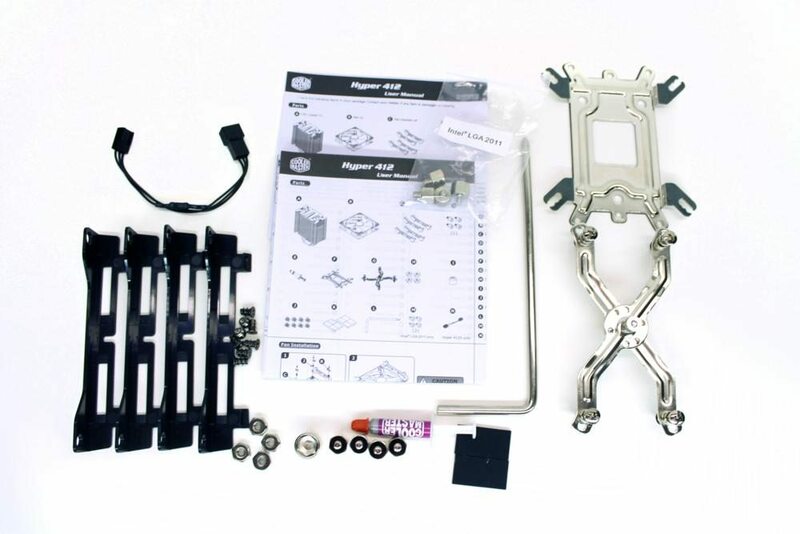 The bundled items include: a manual, AMD and Intel mounting parts, thermal compound and nuts, rubber pieces, nut setter, fan mounts, screw driver and the silent mode adapter . This version of Cooler Masters mounting system is my least favourite. The reason for this is once you have the backplate assembly attached, you have to push the screws with some force into the holes. While doing this the mounting piece is moving around and wants to change size for a different socket. I don’t like having to apply lots of downwards pressure to a screw inside a computer due to the possibility of slipping and damaging something. Next up you have to attach the fans to the heatsink which isn’t always easy inside smaller cramped cases. Fortunately once the heatsink was mounted it was firm and wasn’t going anywhere. The mounting solution for a cooler is becoming more and more important as part of a bundle like this. It’s good to see Cooler Master trying lots of different systems.